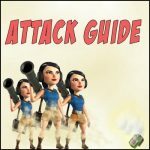 Attack only strategy | Boom Beach. All about the Game! ← Scorchers and Tanks. Basic factors. 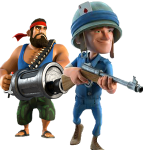 About 65% of all Boom Beach players are focused exclusively on attack in the game. Such conclusions I made based on the results of a small poll that was conducted on the pages of this blog. 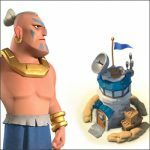 As a rule these players don’t install any “ice” statues on their islands and make all upgrades in the game that increase their attacking power (troops, landing crafts etc.). 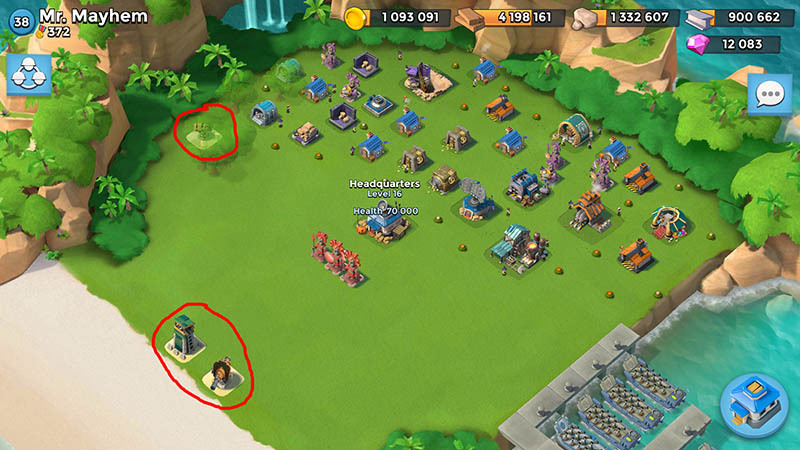 In addition, attack minded players don’t particularly respect the players which install “blue” and “green” statues on their islands and are focused on defense in their development. The base of player Omnipotence (39 lvl; Task Force – “blue fury 2.0”) with only one Sniper Tower from all defensive buildings which are available in the game on its level. 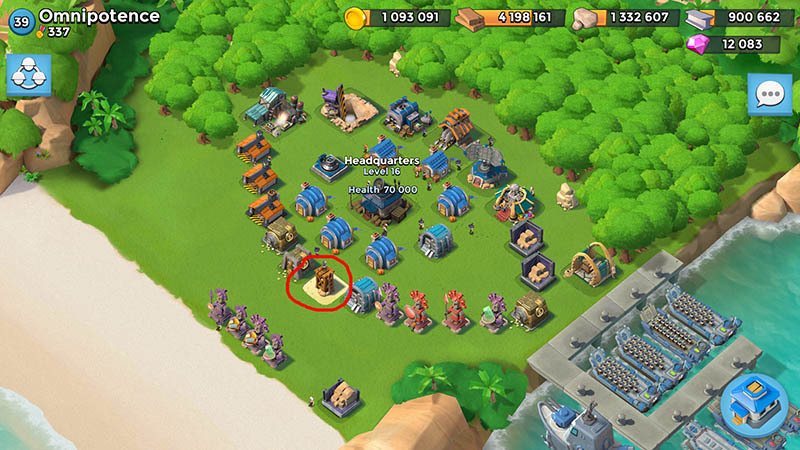 As we can see from the set of statues on their bases they are completely aimed at the rapid accumulation of resources and very attacking style of gameplay! Of course, on the early stages of the Game such strategy will bring certain benefits and probably allows to develop more quickly than the common variant of gameplay (with defense improvements). 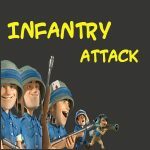 At the beginning of the game, the cost of upgrade of every unit is quite low and there are no problems to accumulate a certain amount of resources for a few successful attacks. And when resources are spent and upgrade is in process, there is no much point to worry about the defense … because there is nothing to lose! But as they say “as the days grow longer, the storms are stronger” and with the every new level the cost of each new upgrade increases significantly and it becomes more difficult to accumulate necessary amount of resources. Will be such attack strategy of gameplay as effective at the higher levels? I cannot answer clearly. I’ve already grown up to 64 lvl and upgraded almost all kinds of troops to the max. levels. And now I don’t see any reason to refuse from defense into the favor of attack for myself. But if you are at the beginning of the game and don’t know what strategy of development to choose I recommend you to begin from the attack. I think this tactic is better on the start. 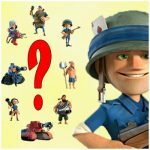 Is it right way to play Boom Beach without defense development? Yes. It's right way. Anyway someone will destroy your defense no matter how strong is it. Yes. But only on the early stages... somewhere so to 40 or 50 level. No. It's obviously the wrong way. It is very difficult to accumulate resources without normal defense. I don't know. I try to develop attack as well as defense. 2 Responses to Attack only! Interesting strategy of development. Poll. I haven’t answered your poll yet, because I believe that if everyone would go for an “attack only” strategy, what fun would we have in attacking bases with no defenses? That’s why I think that task forces should be changed, and instead of being focused on attacking NPC bases, they should be focused on attacking players from other task forces. Like a Tournment of some kind. 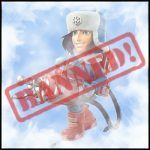 I don’t know exactly how Clash of clans and clash royale works, has I don’t play them, but I still believe that boom beach should develop their task force gameplay in a more TF vs TF scenario. I prefer being offense only. Until recently i had my HQ on the beach 24/7 to keep my VP from going up too fast and still there were some days when no one attacked me ! Even when i was raided, my vault allowed me to keep most of my resources and when i needed big amount of resources for a big upgrade, i stayed online for the time of my statue boosts which is a protection from being raided. The game gives a four-hour online protection every day, that’s a defense much more efficient than buildings.